Posted on 11 March 2015. 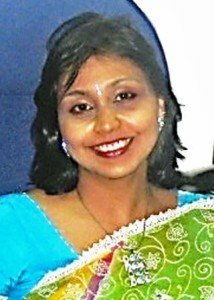 Dr Sushita Gokool-Ramdoo was awarded a Commonwealth Scholarship in 1997 and pursued a MA in Education and International Development at the UCL Institute Of Education. She is currently employed at the Tertiary Education Commission in Mauritius, and leads on the distance education regulatory function as well as national and institutional policy development. Additionally, as former Coordinator for the Working Group on Distance Education & Open Learning of the Association for the Development of Education in Africa (ADEA), she has managed an international portfolio in distance education across Africa. Sushita also has considerable experience in providing technical assistance to governmental and international organisations including the ADEA, UNESCO, UNDP, Indian Ocean Commission, and Commonwealth of Learning (COL).